In the context of answering others and myself on the question, “Why fluoridation rather than one of the challenges that are perhaps more critical,” I chose to tackle fluoridation because it was a problem so easy to solve. You just turn off the tap. – Dr. James Beck, Professor Emeritus of Medical Biophysics at the University of Calgary and co-author of The Case Against Fluoride. 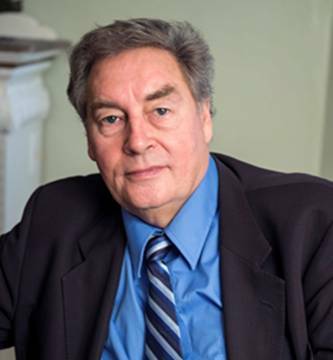 Dr. James Beck – My first reaction to looking into the issue of fluoridation was to be appalled at the gross violation of human rights it represents. Then I began studying the issues of safety and efficacy. 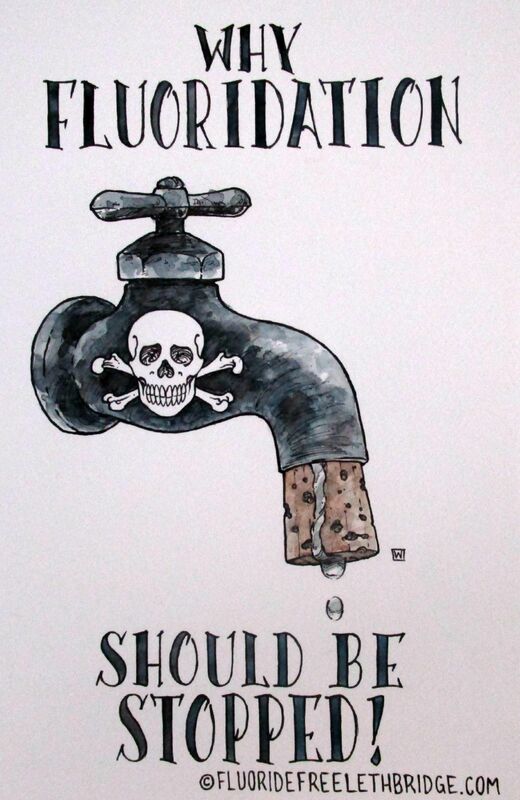 Fluoridation illustrates the same societal faults as corruption in business and government, fraud and profit-bias in medicine, militarism, and so on. Clearly those are more difficult and will require much more time. In the meantime success in stopping fluoridation shows that people can educate themselves, organize to take nonviolent action and make life safer and better for themselves and others. Help at the Fluoride Free Lethbridge Community table at the Downtown Farmers’ Market, Wednesday, August 26. Contact me for details. We’ll have Drs. Connett and Beck’s book, The Case Against Fluoride for sale, as well as lawn signs and T-shirts. If you missed the live coverage of the fluoridation forum in Denver, Colorado, you can view video of this historic event. 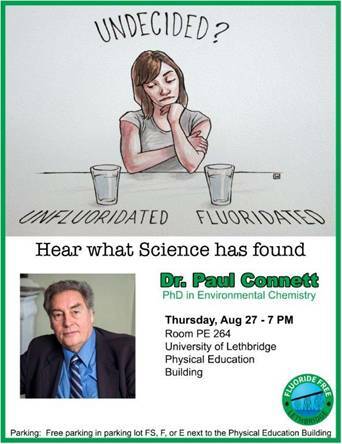 • WATCH: 30-minute edited video of Dr. Paul Connett’s (FAN’s Director & Co-author of The Case Against Fluoride) presentation to the water board, closing remarks, and follow-up interview. Please share this video! • WATCH: The full three-hour fluoridation information session with a panel of experts on both sides of the issue. Here is the meeting agenda and Powerpoint presentation for every speaker. For information about Smart Meter installations and participation in this group, please contact Lance Chong at Lethbridge SMFG [lethbridge_smfg@yahoo.com]. Let’s get the tap turned off!